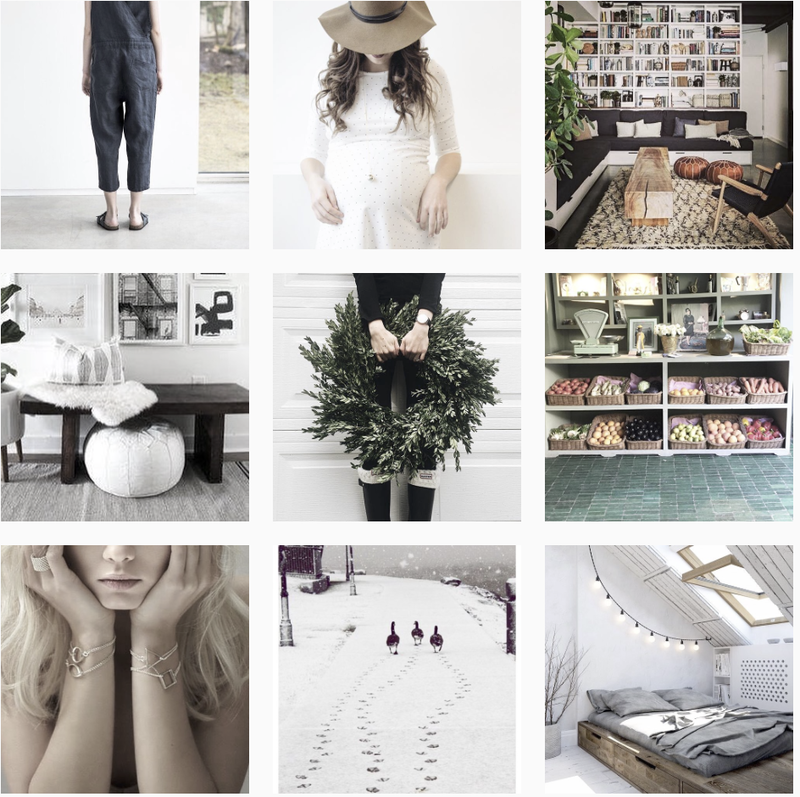 LE BLOG MADEMOISELLE: Let's go Chez Cocó ! Let's go Chez Cocó ! It was my hubby´s birthday last week and I have been looking for an exciting place to take our party to. Barcelona offers so many choices already and it was hard to find a new one ( saying one we have not been to) that combines great food and a spectacular ambience. And it came up to my mind: Let's go Chez Cocó ! Chez Coco opened late March and places itself as 'Rotisserie'. It is the latest project of the architects of Casa Paloma, a local steak restaurant in Barcelona who still is filling their tables in this crisis. 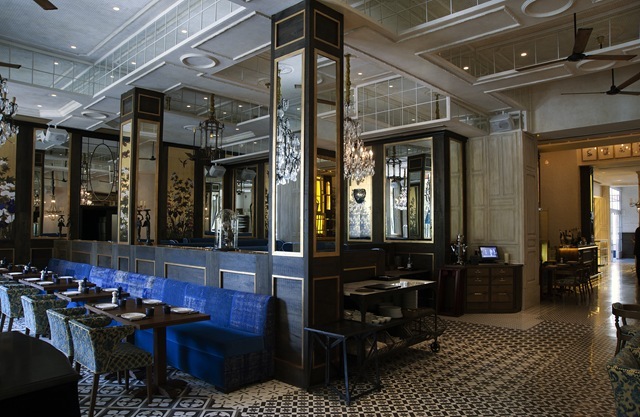 Based on Diagonal, this restaurant offers an open kitchen (which allows us to contemplate the beating heart of the building) and three-piece grill with a spectacular mirror restored from the nineteenth century. You come here to eat chickens, chicks, ducks and quail grilled. And yes, the dishes have quality and attractiveness with an amazing service (hard to combine both in this city). 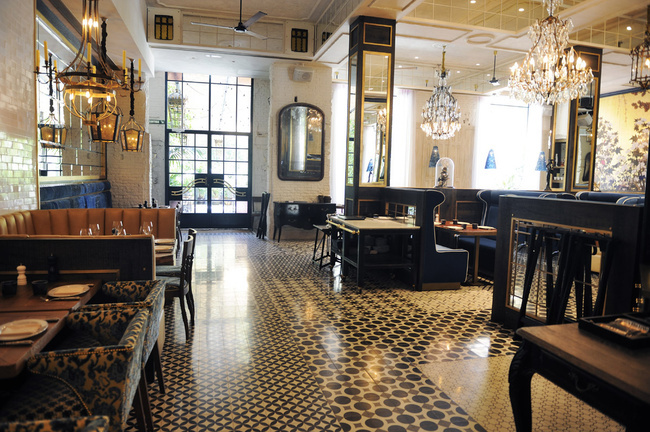 With the feel of a Parisian bistro, the place is very beautiful with mosaic floors,large windows, high ceilings, chandeliers, antique mirrors, copper pots, chinese accesories and benches covered in fabric or leather (inspired by the Orient Express carriages). A successful project once again by one of my favorite catalan designers, Lazaro Rosá-Violan. A must go if you are in Barcelona.